I have two small seaxes ready for a good home. Both are forged from 1084 high-carbon steel and are just under 1/4 inch thick, shaped to a zero edge then refined with a tiny micro-bevel... They cut very well, especially for thicker blades. 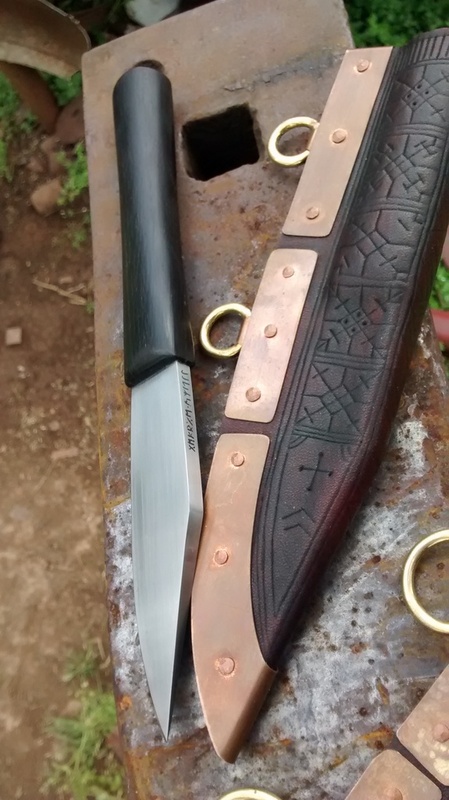 Both come with embossed leather sheaths with bronze fittings. The first one is 10 5/8 inches overall with a 5 11/16 inch blade and a handle of maple. The price is $170 plus shipping. 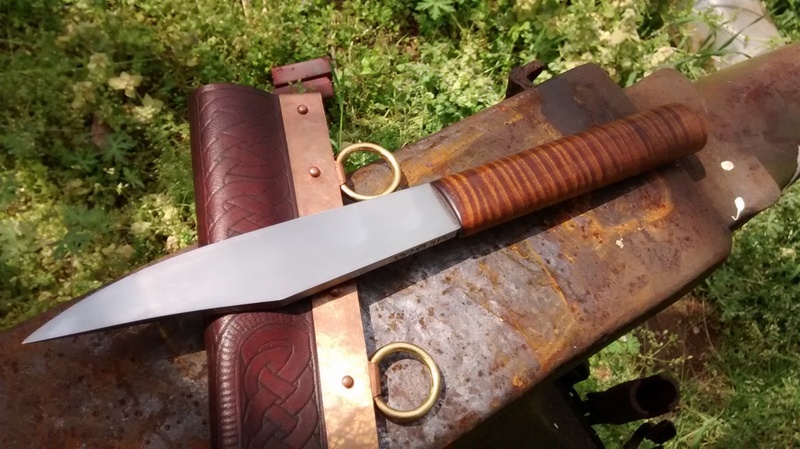 The other is 8 11/16 inches overall with a 4 inch blade and bog oak handle. The price for it is $140 plus shipping. Pm sent. Interested in both.